Welcome. 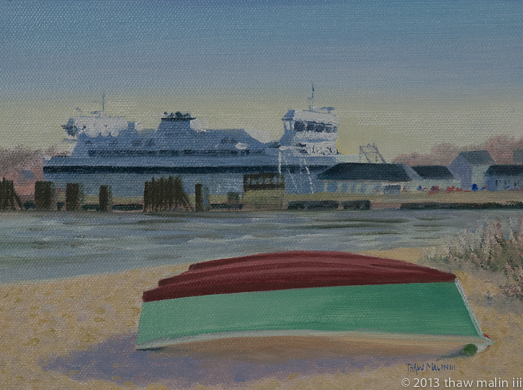 I am back and continuing to make small, 6″ x 8″, landscapes and florals in oils on canvas, but not every day. I am also working on larger pieces. 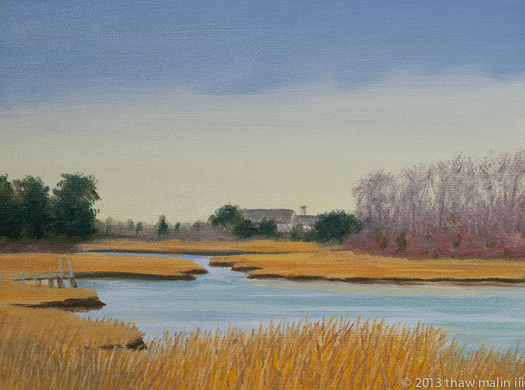 Every time I finish a painting, I will place it here on my website. 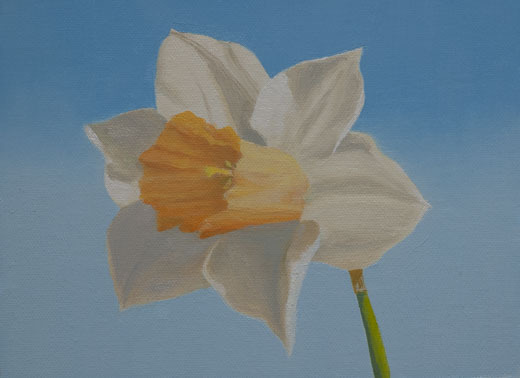 “Daffodils Herald Springtime”, 6″ x 8″, oil on canvas panel. Please click Go to my eBay Auction, where you can find the latest bids and perhaps bid yourself. For this small piece, valued at $600, bidding starts at $100.00 USD. Spring! 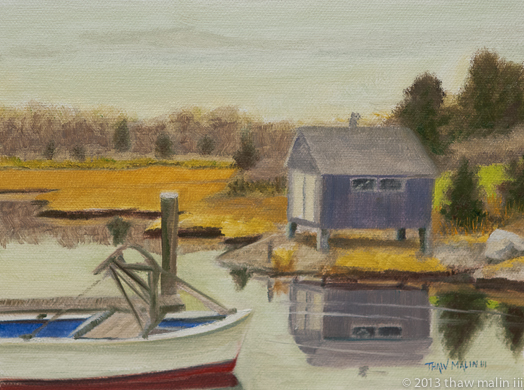 On Martha’s Vineyard, we are lucky if it lasts two weeks as the season rushes from the dulls of late winter headlong to summer. I love daffodils. 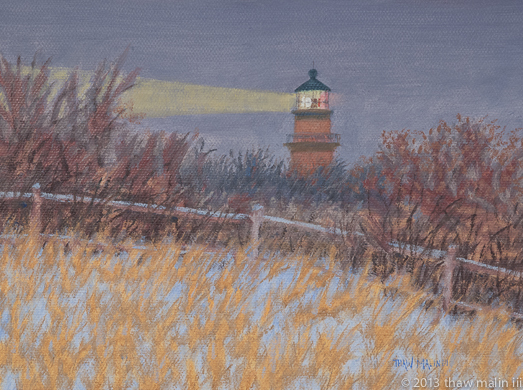 I painted this one to capture that sweet fresh look and scent of spring… well, the scent is only a memory, but the glow will remain. For work prior to 2018, if you see something you’d like to purchase, email me. Thank you for enjoying my work and keeping me creating new pieces. Your interest stimulates and inspires me and has made me a better painter. Sign up for my emails and I will send you an image of each new painting. 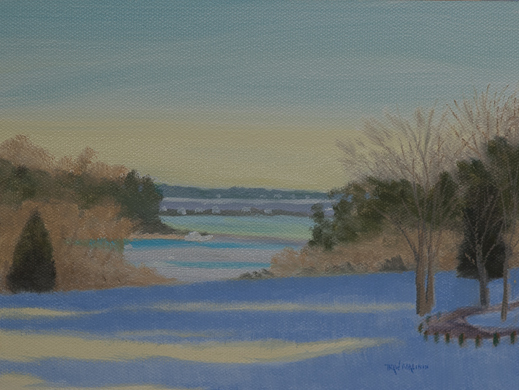 “Aquinnah Snow”, this is a small painting, 6″ x 8″, oil on canvas panel.This painting has SOLD. 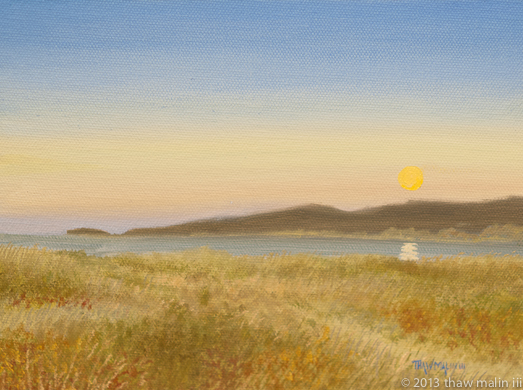 “Tashmoo West”, this is a small painting, 6″ x 8″, oil on canvas panel. This painting has SOLD. 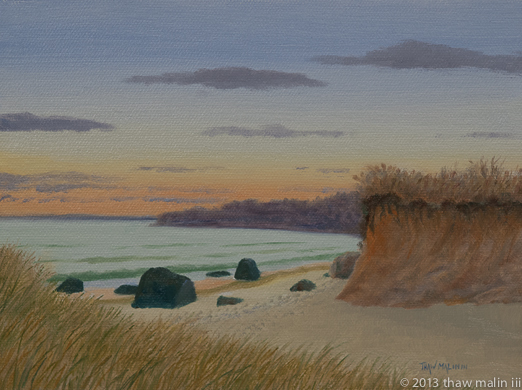 “Beach Set”, this is a small painting, 6″ x 8″, oil on canvas panel. This painting has SOLD. 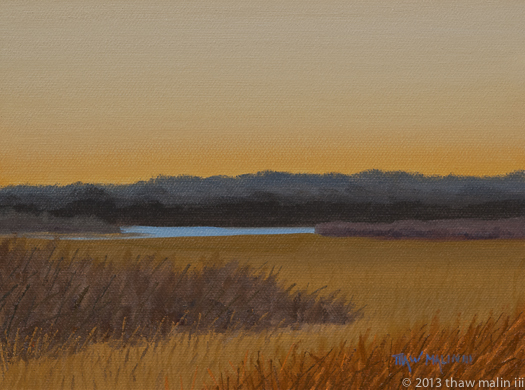 “Late Fall”, this is a small painting, 6″ x 8″, oil on canvas panel. This painting has SOLD. 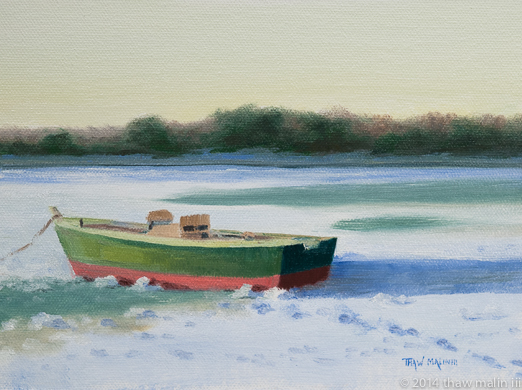 “Scallop Season”, this is a small painting, 6″ x 8″, oil on canvas panel. This painting has SOLD.